Don’t miss this free educational event. 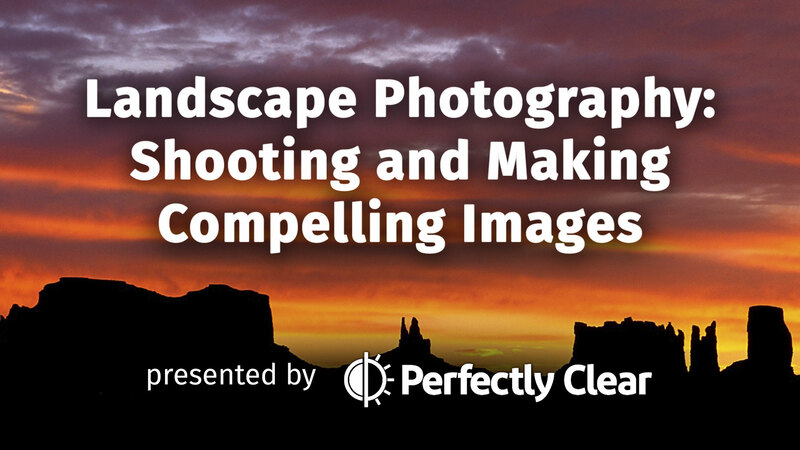 We’ll be tackling how to make the best looking landscape images, from shoot to post. Join Scott Bourne and Richard Harrington for this free and informative webinar. You’ll learn how to shoot better landscape photos by exploring composition, time of day, and pre-planning. You’ll also learn a few production tips like HDR and tack sharp shooting. Once captured we’ll develop images in Photoshop and Lightroom and show you how to use Perfectly Clear to enhance your images. All attendees will receive a free copy of Perfect Exposure as well. The hangout will be viewable anytime on this page so you can come back for a review, but you’ll have to tune in Live to be eligible for the prizes from our partners as well as a special discount. If you are looking for a great gear guide for landscape photographers, check this out.